When flying into Venice’s Marco Polo Airport to begin your Italian vacation, there are a few things I recommend in order to start off your trip right. The first (and in my opinion, the most crucial), is to consider shelling out the extra dough for a private water taxi transfer from the airport to your hotel. When booking your hotel, check to see if they have a private water entrance; or check to see how close they are to a canal– this way, if you’ve got luggage and are coming in from a particularly difficult long-haul flight, then you can get as close to door-to-door service as possible. If you’re not a seasoned veteran of long (or overnight) flights, this is a great option to help you get your internal clock in check. A private water taxi can be easily found at the main water taxi stand right outside of the arrivals terminal. Just walk up to the counter, state your destination, and grab a ticket that will tell you which dock to walk to. Follow the short path from the airport to the water and you should be all set. The important thing to remember when taking a water taxi is to confirm the price before getting into the boat AND be sure to book at an official taxi stand instead of booking in advance before you arrive into the country. Many travel sites and agents charge commission or a mark up, so it’s best to book direct without any fees. In fact, a good travel agent will tell you to book when you arrive to get you the best rate. Once settled, stave off that jet-lag and get out on foot. Get lost and go over bridges, find that sense of wanderlust and adventure and get the lay of the land. 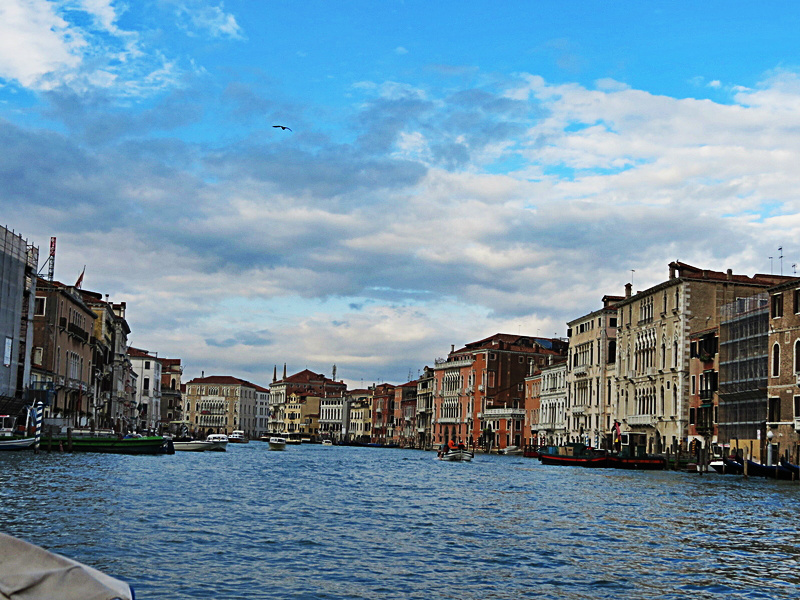 Use landmarks like St. Mark’s Square or the Rialto Bridge as a guide, since Venice can be an incredibly confusing place. Don’t allow yourself to get frustrated! With some helpful Italian phrases, use of landmarks, and a simple city map, you can navigate without much fuss. Half the fun of being in Venice is the adventure. After you’ve explore enough on foot to comfortable get yourself to and from your hotel, make use of their vaporetto (water bus) system to branch out into the outer lagoon islands. Good city maps of Venice often have small vaporetto maps ( I recommend this one which is detailed and has major landmarks and spotlights on the outer lagoon islands). While Murano is a popular destination, be sure to make a trip to Burano, which is my number 1 recommendation for an outer lagoon day-trip. Lastly, for a quick tour of the Grand Canal, hop on vaporetto #1 which takes you through the main thoroughfare, find a good seat, and cozy-up to take it all in.